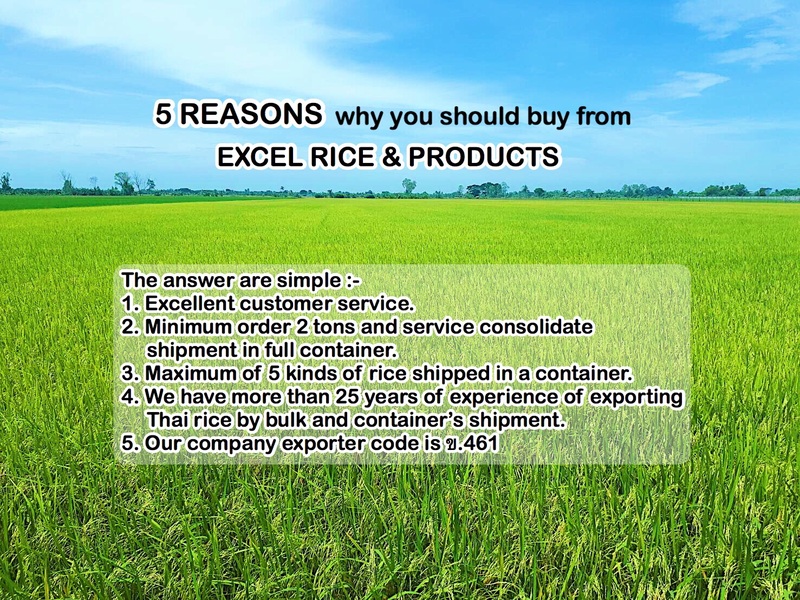 More than 25 years’ experience exporting Thai rice therefore we know how to serve our customers in the worlds. The quality is also guaranteed. Our factory can pack 500 grams up to 1,000 kg in plastic bag, polypropylene bag, gravure polypropylene bag, big bag 1 ton and jute bag depend on customer’s inquiry. 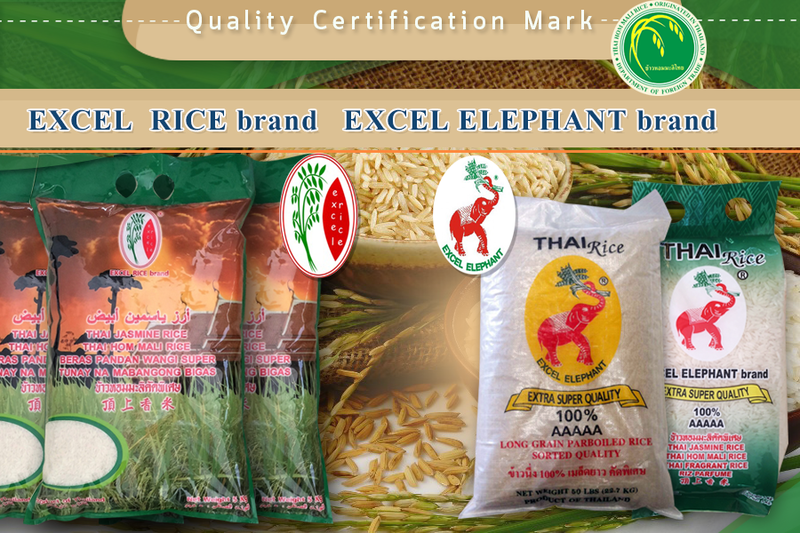 We have our own brand that are “EXCEL RICE” & “EXCEL ELEPHANT”. We also require agent to sale EXCEL RICE & EXCEL ELEPHANT brand. “ EXCEL RICE ” meet international standard; ISO9001:2015, GMP, HACCP, HALAL, THAI FDA and TTM (Thailand Trust Mark) our rice are cleaned, fit for your import regulation and for human consumption. EXCEL RICE’s factory is located at Chacheongsao Province, not far from Bangkok (about 30 mins from Suvarnbhum international airport) you are welcome to see our ability and how we are working for your confident to do business with us.